ABC: A-Z is the first in a series of six one-shot specials featuring card-stock covers brought to you by an amazing collection of comic book creators, filled with page after page of informative material guaranteed to satisfy ABC fans everywhere! 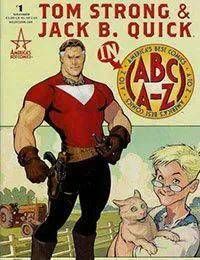 This initial volume reveals all the secrets and will answer any questions about Tom Strong and Jack B. Quick, along with their supporting casts and gadgets!